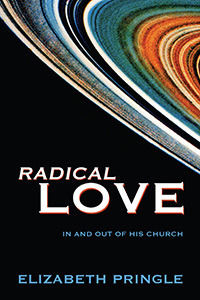 Discover the Radical Love the Lord Has in Store for Each of Us! "I thanked the professor for all he had done for me, and left. Well, there it was. He didn’t have to tell me how sick I was. I was fevered, but that was nothing new. I was only thirty-seven though. I knew he spoke the truth, and yet I didn’t believe for one minute that I was going to die and leave my child. It just didn’t compute, but what to do? At the time, I was renting a room in the home of a Catholic woman, Maureen, and her invalid son, and, thankfully, my atheism didn’t bother them or the lively priest (yes, another one, and Irish!) who visited for a bite from time to time. I’m sure I was being prayed for without my knowledge, which is so very Catholic. Thank God it works! It is fascinating how God uses anybody, since he loves everybody, in order to get our attention. A girl in the office made mention of a German chiropractor in Harley Street who had diagnosed her problem and healed her. I went. In his clipped, Germanic way he said, kindly enough, “I will not charge you. You are very close to death. There is nothing to be done." “I know”, I said, “I’ve heard it before." I read an article about the Queen’s having a Dr. Blackie who took care of her health with homoeopathic medicines. Don’t ask me how I found that doctor, but I did. “I would love to help you, but you’re too far gone, and it costs a great deal of money”. I thanked her for not charging me either. Someone knew of a Chinese acupuncturist. “We can help certain infections by strengthening the area around, but there is nothing we can do for your condition. So sorry.” Thank you for not charging me. I was done, finished. I couldn’t think of another single thing to do. It’s a strange thing, but I’ve found that after we’ve tried everything we know to do, often that’s when God steps in. And he did for me. Elizabeth Pringle was raised in Scotland and spent her young adult years in West Africa with her family. She lives in Houston, Texas, where she worked for the British Consulate-General for 12 years prior to entering full-time service of the Lord, in 1994. Her ministry was inner healing and deliverance until 2005 when she launched New Day New Way Ministries to prepare hearts and minds for the coming Kingdom of God, with Suzanne Young. For one year she co-hosted Thy Kingdom Come, on Radio Maria, with Fr. Ed Wade, CC, of Ring of Fire. She is a member of the Association of Christian Therapists and an affiliate of Joan Hunter Ministries.